So as I told you yesterday, I was making some strides to improve the look of the blog. I found this awesome designer and I had the hardest time deciding which banner to go with. 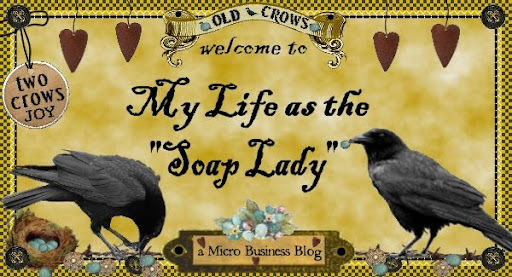 I realize Crows probably have less than nothing to do with soap, but the blog is about much more than soap, that's my reasoning! 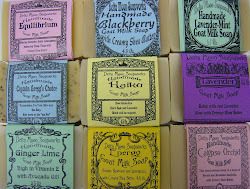 If you'd like to check out her work, www.etsy.com/shop/wildenblue and she also has an enjoyable blog too, www.WildenBlueFarmJournal.blogspot.com . Still tweaking the blog, but I like it much better. Any thoughts? Carla, this was very kind of you. Thank you for the mention... I'm glad you are so pleased with your crow banner! Keep up the great posts. 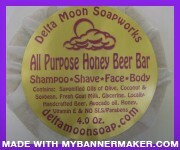 Also love your new soap labels!